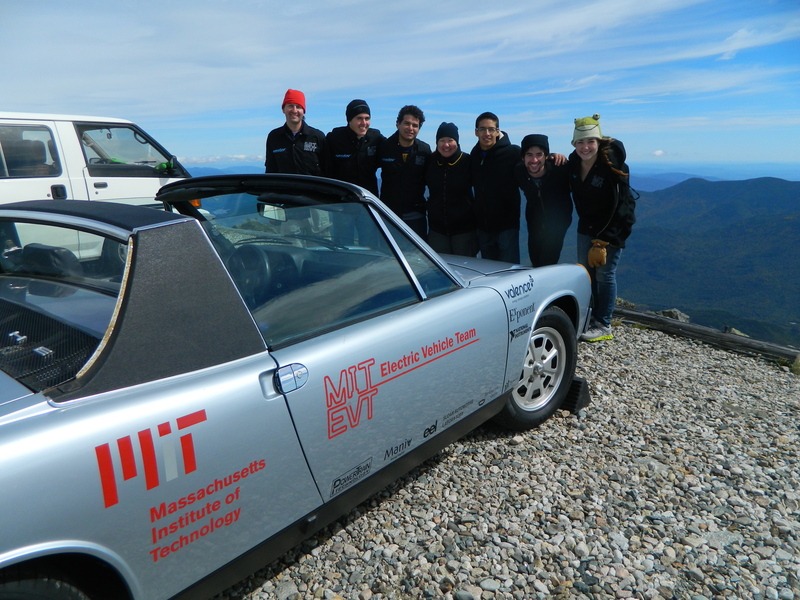 The MIT Electric Vehicle Team (EVT) is a group of active undergraduate and graduate students at MIT who are dedicated to the research, design, and operation of electric vehicles (EVs). The team has completed one EV conversion and started a second conversion in June 2009. EVT has worked on electric motorycles as well, most prominently eSuperBike which participated in the Isle of Man TT Zero race in 2011. EVT's project for 2013-2014 was to build a bike-trailer system that travels from BOS to NYC in one charge. In addition, the team is active in education and community outreach. EVT is supported by the Sloan Automotive Laboratory, Electrochemical Energy Laboratory, and Edgerton Center at MIT. During the school year the team meets every Saturday morning at 10:00AM in N52-318. 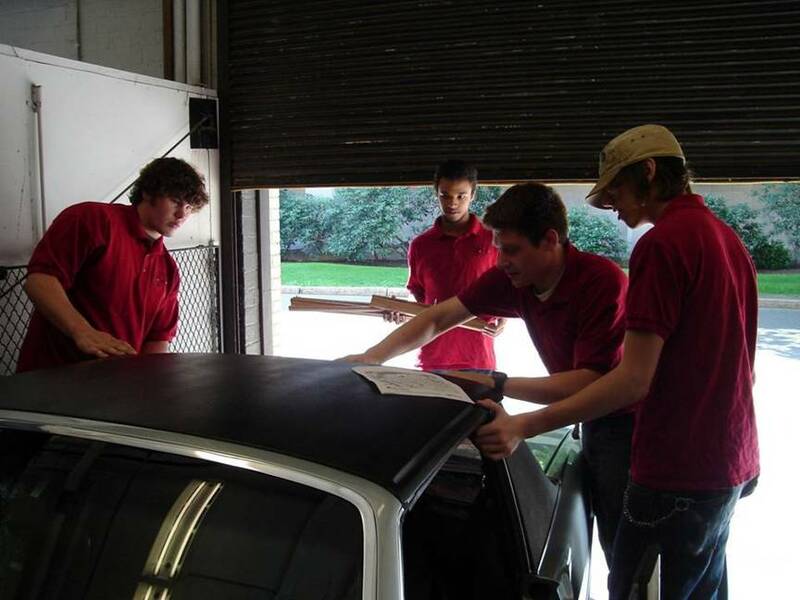 Designing, building, and testing a full-size EV is an incredibly rewarding and educational experience for all involved, regardless of prior experience and education. Members of the team use their involvement for BS theses topics and UROP and independent study credit. 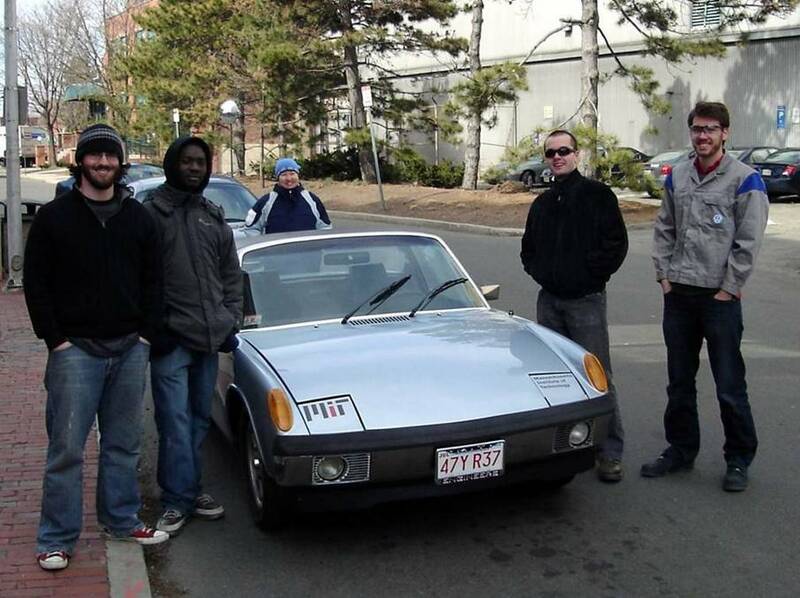 In May 2007, Emmanuel Sin won the Department of Mechanical Engineering's Peter Griffith Experimental Thesis Award for his BS thesis on the Porsche 914 conversion. Starting Spring 2009, students in 2.007: Design and Manufacturing will be given the opportunity to work on EVT projects in place of the regular class project. Jarrod is a senior from Massachusetts majoring in mechanical engineering. Nick is a senior from Northern Virginia pursuing an interest in electrical engineering. He is a complete circuits junkie, suffering withdrawal symptoms if he doesn't smell leaded solder fumes each week. Luckily EVT gives him plenty to do! He has passion for longboarding and is working on converting his longboard into an electric vehicle. 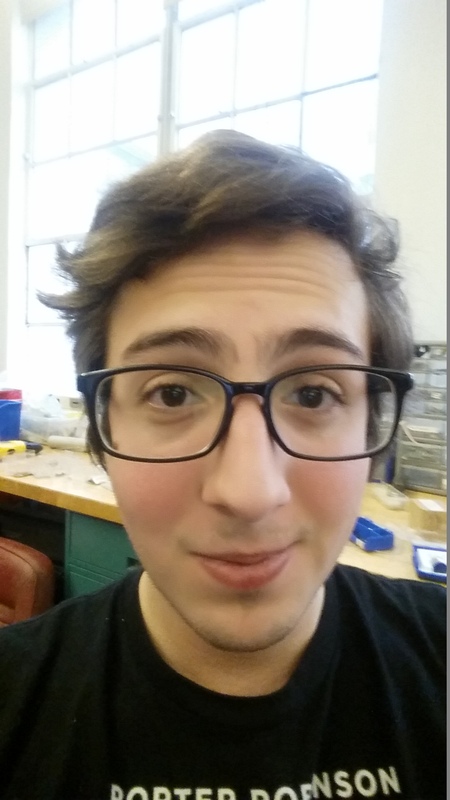 With experience in digital design with graphene nano electronics, field programable gate arrays, embedded systems, multitouch sensor design and silly high voltage practical joke boxes, he doesn't quite know where electrical engineering will lead him, but he is excited for the next build! When he isn't taking on far to many projects, Nick plays lacrosse, learns cool math, and works on his 3d printer. Lauren is a senior from Dallas, Texas who plans on pursuing a degree in mechanical engineering (with a little bit of electrical engineering thrown in). Her interests include taking things apart to see how they work and being overly enthusiastic about everything. In her spare time Lauren likes to draw and occasionally make a fool of herself. All of that stuff: From Miami, FL. I do the electric vehicle thing because I like batteries and I like seeing (and making) some of the crazy things they go into. Currently uroping in the Chiang group doing Lithium Sulfur research. Jacob likes things that move fast and accelerate quickly. He is a junior from Austin, Texas studying mechanical engineering and a bit of electrical engineering on the side. His technical interests include motors and their controllers, mechanical energy storage, additive manufacturing, and ways to combine them all. He is also the live in IT guy and (one of the many) foodies in French House. Hey, I'm Jimmy. I am studying mechanical engineering here at MIT. I leading the team's effort to race an electric motorcycle at Pike's Peak 2016. 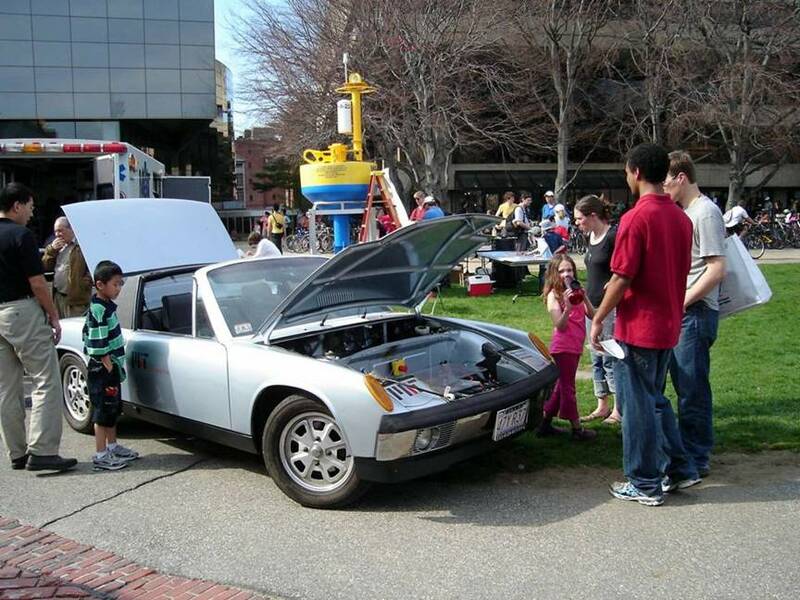 I have a background in automotive work and I am enjoying applying my knowledge to electric vehicles at MIT. I hope to work in the electric vehicle industry after I graduate. Jimmy is a current sophomore from Frederick, Maryland pursuing a degree in electrical engineering. 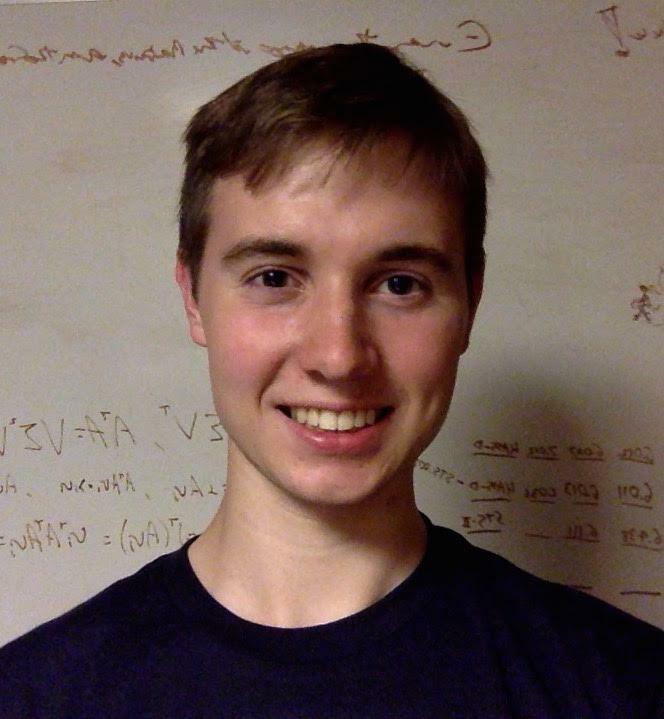 His is very interested in signal processing and RF systems and loves opportunities to interact with circuits. Jimmy enjoys tinkering with electronics and backpacking in his spare time. His projects occasionally appear under the internet alias ‘supercapacitor’ on sites like Instructables. Allison is a sophomore from Chula Vista, California pursuing a degree in electrical engineering and computer science (but leaning more towards the electrical engineering side). She's currently UROPing with the XTreme Transistors group, researching time-dependent dielectric breakdown. When Hugo is not learning about electronics or working with EVT, he is teaching electronics or robotics at a local middle/high school program. Hugo was also part of the team that won the first summer outdoor soccer IM league. Alex is a junior from California majoring in mechanical engineering. 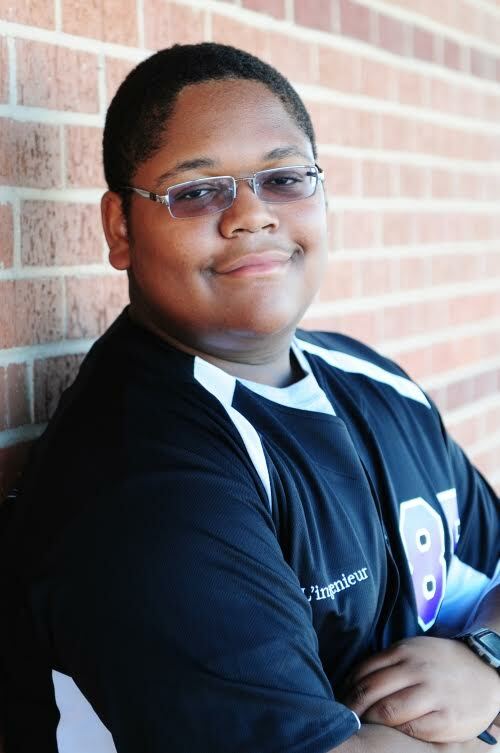 Antony is a sophomore majoring in mechanical engineering. 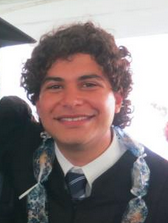 Roberto is a Masters student in Mechanical Engineering. Roberto's interest is electric vehicles spawned from playing around with other people's projects. He enjoys the outdoors, especially sailing and biking. 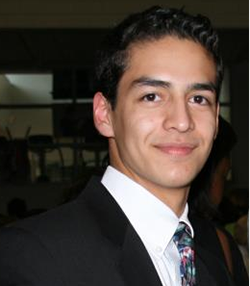 Roberto's academic/profesional interests are in Mechatronics and in Electromagnetism, he currently works at the Precision Motion Control lab and is doing his masters' thesis on magnetic bearings. In his spare time Roberto is an amateur video artist here is his most celebrated and award winning short film. Lately he has started producing impromptu science videos for stubborn children/freshmen/juniors. Victor is a Junior from Mexicali, Mexico. He is pursuing a degree in Mechanical Engineering (Flexible Option). 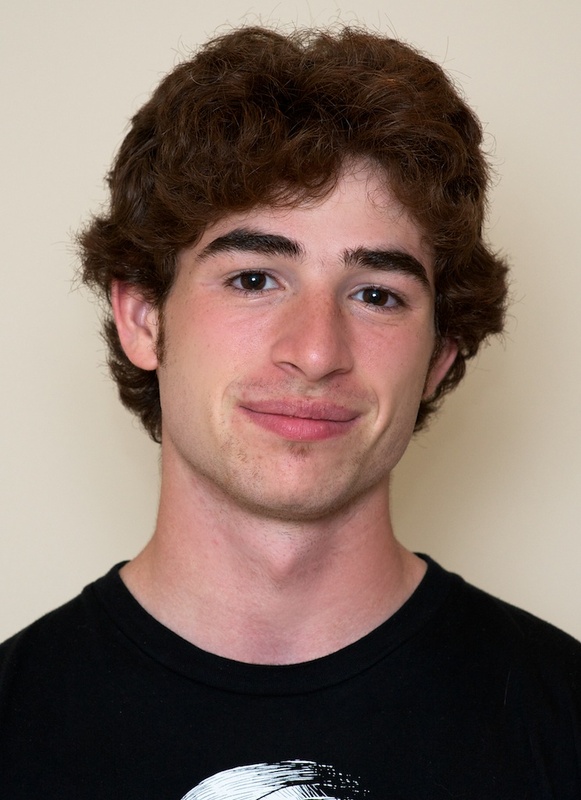 Victor is a hacker and a huge enthusiast in personal electric vehicles. When he is not in the shop or studying, Victor is a model for charity calendars. Joey is a Sophomore from Jamestown, NY studying mechanical enigeering and physics. Joey's interests include basketball, football, and working out. Joey also enjoys fine books, the arts, and wrestlemania. His future goals are to own a chain of Fuddruckers and become the first man to eat 20oz of styrofoam. John is a junior from Wading River, NY studying Mechanical Engineering (Flexible) with a focus on Energy Studies and Conversion. John is interested in electric vehicles began while watching Boston Friday traffic during crew practice. He was then directed to the EVT by a fellow rower, and has been on the team ever since. Prior to MIT, John was a deck hand and a camp ranger, and while EVT does not quite get him into the middle of the woods or on the high seas, he enjoys the time as a chance to work with his hands. Off the water and free of studying, John is an Eagle and a sharpshooter. Adrian is a local from Lawrence, Massachusetts. He graduated in June of this year with a degree in Mechanical Engineering. His main focus over summer will be the elEVen, aiming first to program and wire the motor controller. He will then design an efficient, thermally stable cooling system for the batteries. And of course someone must make the elEVen ride smooth and feel like a practical car. With this goal in mind, he will street-legalize the elEVen. Adrian hopes for the opportunity to make a big contribution to this group. He enjoys engineering, cars, and batteries and is eager for exposure to battery technology and the mechanics and design of cars. His other interests include tinkering and basketball. Little known fact about Adrian: he can't snap his fingers. Manyu is a rising sophomore from Palo Alto, California. He is studying Mech E with a focus in Ocean Engineering. Over the summer, he will be working on EMoto and on converting EVT's newest electric motorcycle eSuperbike. He will be designing a streamlined mount for the battery packs on the eSuperbike among other mechanical projects. 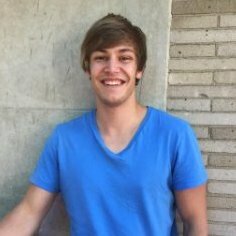 Manyu will be tackling rapid battery recharging issues such as communicating with the battery management system on A123 battery modules. In his own words, his tasks will include "following Lennon around and doing whatever he tells me to do." In his spare time (of which there is little) Manyu enjoys longboarding, playing pool, and archery. Little Known Fact about Manyu: he can pilot a coastguard cutter. 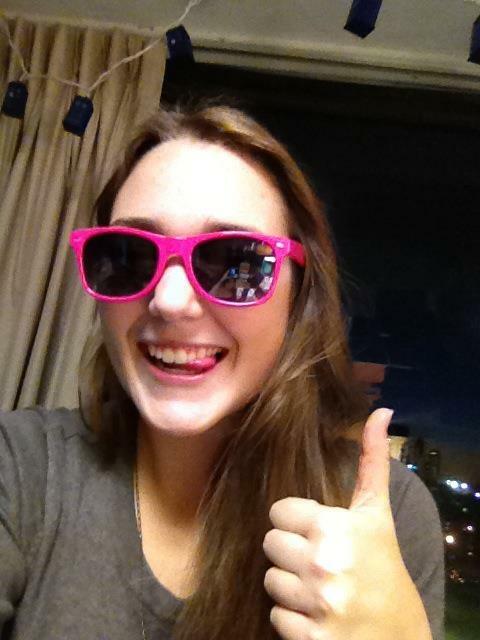 Breanna is a class of 2012 mechanical engineer from San Diego, California. As the EVT secretary, she has been contributing to the team for over a year. 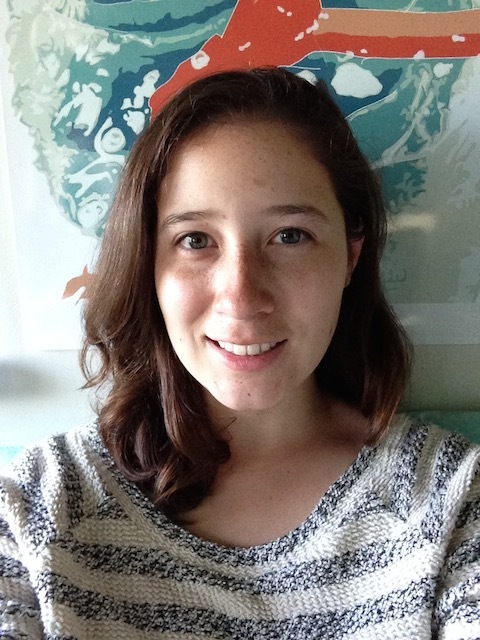 She is in charge of organizing meetings, scheduling, and maintaining good communication throughout the group. Breanna is eager to learn advanced machining techniques over the summer, network with EVT benefactors, and become more involved in eMoto, which she feels is one of the most exciting EVT projects. As a smaller compact entity, she envisions eMoto as the type of product "everyone could have." Along with her fascination for electric vehicles, Breanna likes anime, trying new restaurants, and wakeboarding. Little Known Fact about Breanna: she plans to get her pilot's license someday. Randall is a 2012 mechanical engineer and physicist from Albuquerque, New Mexico. Over summer, he'll be working on eSuperbike focusing on two main goals: (1) to size and choose the optimal motor and (2) to model energy requirements for the bike, keeping in mind the team's long term goal of racing in the Isle of Man TT. He'll be analyzing all energy optimization factors including the coefficient of drag and inclines on the track. He feels rapid recharge is one of the final hurdles to mass production of EVs and is excited about the idea of being able to rapid recharge in < 10 mins. As a former boyscout, Randall also enjoys hiking, and the outdoors. Little Known Fact about Randall: he worked at a Co-op over the last two years on high speed centrifuges for biotech research. Eli is a rising junior from Kalamazoo, Michigan with plans of graduating in Mechanical Engineering. Over the summer, his tasks include designing and fabricating mechanical components for the Porsche and the elEVen. Such components will be used for structural protection, suspension, the elEVen cooling system, and a standardized charging adapter to be placed inside the fuel tank's current filler flap. Before starting MIT, Eli gained practical machining skills from his father who taught an autoshop class and by working in a woodshop. He is eager to render the elEVen functional, drive the Porsche, and build key parts for use throughout the elEVen. His other hobbies include videogames and ultimate frisbee. Little Known Fact about Eli: he is a Rock Band drumming master. 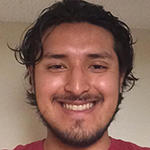 Erick Fuentes is a rising senior from Silver Spring, Maryland. His pursuit of a degree in aerospace engineering has provided him with unique interdisciplinary skills that will be beneficial to the EVT effort. Before staring his summer projects, Erick was most interested in the controls and aerodynamics of cars. Fortunately for him, these issues remain unresolved in the elEVen. With respect to aerodynamics, he will be adding an underbody panel and possibly modifying the existing body panels, aiming to reduce the drag coefficient. He will also optimize efficiency through motor controls, analyzing the necessary torque to produce the desired acceleration. Outside of research, he is on the MIT Crew team. 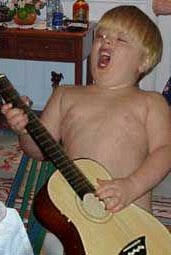 Little Known Fact about Erick: he sings in the shower. Pete, 2011, is studying Mech E. with ocean engineering. Having worked on the project since spring of '09, he is the "de facto porsche guy." This summer, he is working with the team through support from the MIT Gordon Leadership Program. He'll focus mainly on mechanical projects, welding and constructing a skid plate, and helping out wherever his strength and machining skills are needed. Though he'll continue to finalize tasks on the Porsche, the elEVen has larger issues such as battery cooling that will demand most of his attention. Pete describes himself as a "car guy" who has fostered a general interest in cars through maintenance of his '85 blazer. When not dreaming about automobiles, Pete rows on the crew team, wrestles, and plays football. Little Known Fact about Pete: he has worked in a seafood warehouse. 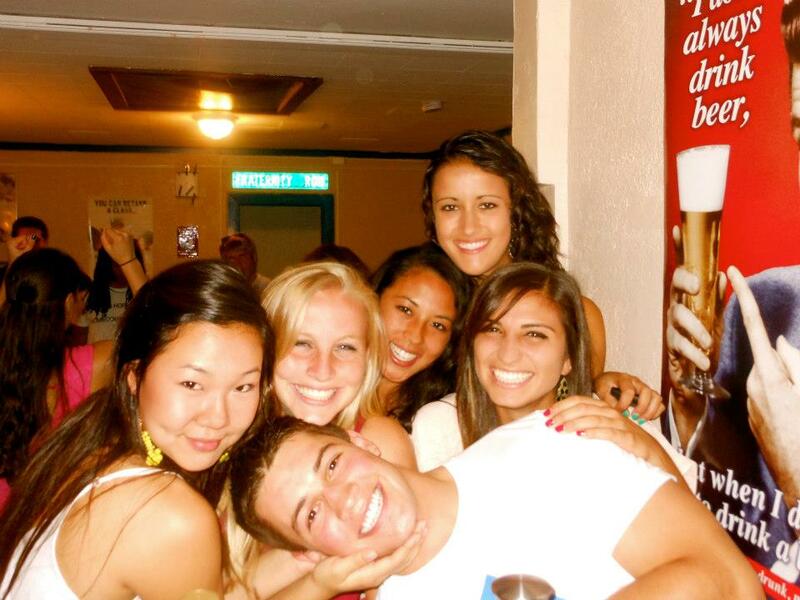 Steven is a mechanical engineer from Brooklyn, New York in the class of 2012. He joined EVT with previous design and engineering experience from working with the MIT Vehicle Design Summit last year. Eager to make an impact on the electric vehicle industry, he will be working on the elEVen motor controller and on a new sump for liquid drainage of the cooling system. Using his robotics experience from high school, he'll be wiring the electronics including the touch screen and permanent switch panels. Steven is excited about quick charge technology and is interested in testing and implementing rapid recharge by the end of the summer. He is also enjoys ultimate frisbee, mountain biking, and cooking. Little Known Fact about Steven: he is an accomplished ballroom dancer. Hailing all the way from Sterling, Illinois, Lennon is the sole PhD student on the summer team. He received his bachelor's from the University of Illinois and a masters in mechanical engineering from MIT. Lennon is the mastermind behind the EVT motorcycle projects. He came to the team with ample experience, a strong drive, and personal motives; after breathing California's polluted air he decided to build his own electric motorcycle - eMoto. During this summer, Lennon will focus on the eSuperbike project, testing rapid charging methods through battery cell testing using the recently-built rapid charger. Along with motorcycles, Lennon enjoys running, bicycling, and traveling. Little Known Fact about Lennon: he worked on large ground-based telescopes while working at JPL and Caltech.